More than 370,000 public school teachers in elementary and in the secondary would be enjoying the salary hike which its first tranche may be effected in the first quarter of this year as PNoy has already signed the Executive Order No. 201, s. 2016 to implement this increase in four installments upon returning from working trip in the US. President Benigno Aquino III after attending the ASEAN-US Summit and meeting with US business leaders signed Executive Order to implement the increase of government employees to include the teachers of the Department of Education and the controversial military and PNP pensioner's hike. 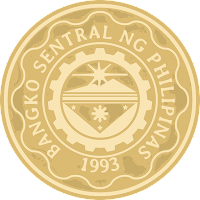 Department of Budget and Management (DBM) recommended the issuance of an EO following Congress’ failure to approve the proposed Salary Standardization Law (SSL) IV before they adjourn session for the election campaign. The bicameral conference committee was in an apparent impasse over the indexation provision that would cover the pension of military and uniformed personnel retirees. President Communication Secretary Herminio Coloma, Jr. in a statement said that the EO provides for the implementation of the first of the four tranches provided for in the proposed [Salary Standardization Law of 2015] or SSL 4 that has not been enacted by Congress. He said further that authority to implement the first tranche is given in RA 10717 (or the 2016 General Appropriations Act) which provides a budget of P57.9 billion. Now more than 4790,000 government workers would benefit this increase in 2016. By January 1, 2019, the fourth tranche salary schedule for civilian personnel and the fourth tranche Provisional Allowance, Officers’ Allowance and Hazard Pay for MUP, the Mid-Year Bonus and the full amount of the enhanced PBB.